Now that you have been diagnosed with fibromyalgia, and have a name for all those crazy symptoms, you can breathe again. Little by little, you will find many things in your life will change. It’s not good being a Fibromyalgia Newbie. Fibromyalgia is not for wimps! Although you feel so bad, to others you seem so normal and capable. This is where clear communication is key to the people in your life. It priceless. Feeling other’s expectations can be stressful. Put these people on the back burner, for now. Be sure Your Basic Needs are being met. Sometimes you will have to put yourself first. For instance, don’t be swept along with the crowd when it’s time to put the chairs away after the meeting. Will pulling on the chairs make you regret it tomorrow and the next day? If you don’t honor your body, you’ll find yourself in more pain and depression. It took me a long time to learn to pull back and not do those things that send me into massive pain. I was the one who used the vacuum cleaner. But that floor was calling my name, and I wouldn’t wait for my husband to help me. But as sure as the sun sets, I regretted. 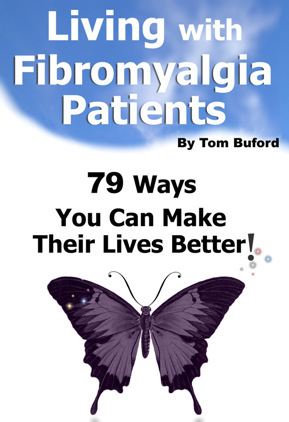 As a fibromyalgia newbie I had lessons to learn everyday!
. . . Clear communication with your spouse/partner: Keep him/her abreast of doctors orders and your new physical limits. Always let him know the extent of your pain. This will go a long way in preventing misunderstandings and conflict. This needs to be avoided at all costs. Stress is an enemy to sore muscles. If you have pain in your lower back and hips, like I do, Traveling is hard. I miss some key people in my life, just part of the changes that FM may bring.
. . . Dealing with co-workers: Start with the people who work closest to you. I brought one of the brochures from my doctors office that explains all things fibromyalgia. I gave it to the people who needed to know and my supervisor. Some people may not understand, for instance, why you need to have That chair. They don’t know what cold air vents do to your muscles. It’s in your best interest to help them understand. You know how the human mind tends to make up a negative slant.
. . . How do I say it? Some situations may be sticky. These are the ones you need to concern yourself with to avoid misunderstandings. “Sorry, I’d love to help you with that but with my illness I can’t. Is there something else I can do?” or “I just can’t get to that until —-next week—” then insert your best time.